The Boston bombing has refocused public attention on a steadily growing phenomenon the Obama administration has been trying to sweep under the carpet: domestic Islamist terrorists whose familiarity with American culture makes them more difficult to detect prior to their acts of terror. By way of preventing similar attacks, therefore, it is necessary not only to monitor terror networks but also to understand the psychodynamics of the creation of "homegrown terrorists" in general, and the appeal of radical Islam to "In-betweeners"—young persons in a transitional phase in one or more key aspects of their lives—in particular. Vulnerable individuals are lonely, in a transition between high school and college, between college and a job or graduate school, traveling away from home, arriving in a new location, recently jilted or divorced, fresh from losing a job, feeling overwhelmed about how things are going, or not knowing what to do next in life. Unsettling personal occurrences are commonplace. At such times, we are all open to persuasion, more suggestible, more willing to take something offered us without thinking there may be strings attached. Child psychoanalyst Anna Freud long observed that adolescent behavior can range between enthusiasm about community activities to a longing for solitude. Adolescents can be submissive to a chosen leader or defiant of any authority, extremely self-absorbed or materialistic, and simultaneously very idealistic. Additionally, adolescents are struggling with notions of psychosocial control, that is, the ability to delay gratification, regulate emotions, control impulses, and resist peer influence. 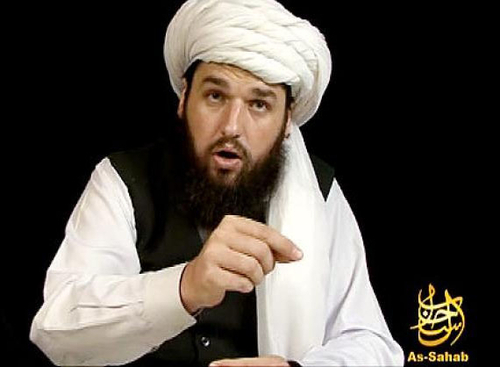 Adam Gadahn, Azzam the American, achieved notoriety as al-Qaeda's most prominent English-speaking spokesman. The 25-year-old American was raised in Orange County, California, the son of rock musician Phil Pearlman, who changed the family name to Gadahn and dropped out of society to become a goat farmer when Adam was still a child. During his teens, Adam started to rebel, frequenting a mosque, and became radicalized at fifteen. What would otherwise be normal adolescent rebellion and protest can thus transform into terrorist identification—and actions—through the tutelage of agitators like Awlaki. Particularly vulnerable to incitement are persons in the phase of "prolonged" or "extended" adolescence, who have yet to make the transition from childlike dependence to adult-like independence, and who purposefully shy away from adult responsibilities and refuse outright to act their age. The same psychodynamic traits seen in individuals can also apply to communities or even countries in transition, leaving them vulnerable on a larger scale to terror cult recruitment efforts. This is particularly true for disaffected late adolescent and young adult populations. Afghanistan after the Soviet occupation; Iraq after the defeat of Saddam; politically unsettled Lebanon after the departure of Syrian armed forces; unstable Somalia and Yemen—all are fertile ground for recruitment efforts. The recent Arab upheavals, with their roller-coaster ride between the opening of social and electoral spaces and authoritarian pushback may have also increased the appeal of jihadists. Keep the person unaware that there is an agenda to control or change the person. The terrorist training camps use peer-modeling, peer pressure, and the military with weapons and explosives training provided to excitable, angry young men. The radical jihadist incitement is presented as a normal extension of the recruits' Qur'anic study and memorization. Control time and the physical environment including contacts and information. Easily accomplished in al-Qaeda's Yemeni camps where U.S. jihadists are often sent. Create a sense of fear and dependency. The charismatic leaders hold forth a fantasy of shared grandiose power merged with visions of victorious jihad. Suppress old behavior and attitudes. Islamists allow no debate or dialectic of discussion. Instill new behavior and attitudes. Terror groups manipulate by a system of financial and social prestige rewards for the new terrorist identity and ideology which they proffer. Promised rewards from God in Paradise and for families left behind are offered by al-Qaeda. Put forth a closed system of logic. This is achieved through inculcation of a zero-sum outlook: us versus them, in-group (true believers) versus out-group (infidels). The pragmatic "personal pathway model" presented by psychologist Eric Shaw further helps explain the development of homegrown terrorists in combination with the "in-betweener" concept. He has found that terrorists solidify their identity through group cohesion and personal connection instilled in them through shared experiences of harsh treatment, most often received from security forces or in prison. Just as prison can provide a personal connection, spiritual inspiration, and group identity for a future terrorist, so too does al-Qaeda implement a comparable but calculated psycho-inspirational charismatic, mystical indoctrination and group connection in their training camps. Shaw also found that a telling turning point for future terrorists occurs upon identifying glaring inconsistencies between the political philosophies and beliefs of their parents or their families of origin and their actual impotence in terms of effective social or moral action, and that often (though not always) nascent terrorists are frustrated by their failure to achieve professional or vocational places in society despite being aptly qualified for such posts. A number of "homegrown terrorists" illustrate the psychological patterns exhibited in the adolescent identity struggles discussed above. Adam Gadahn achieved notoriety as al-Qaeda's most prominent English-speaking spokesman. The 25-year-old American was raised in Orange County, California, the son of rock musician Phil Pearlman, who changed the family name to Gadahn and dropped out of society to become a goat farmer. As one of four children working on the family goat farm, Adam was home-schooled in a nominally Christian and religiously eclectic home. According to one report, he had his first exposure to Islam as a boy through the family business when his father slaughtered goats according to Islamic law. During his teens Adam began to rebel against his family and society in general, and in 1993 moved in with his secular Jewish grandparents. Eventually, he left his grandparents' home and began frequenting the Islamic Center of Orange County. Gadahn illustrates the classic traits of an "in-betweener"—in-between his parents' and grandparents' homes, his parents' eclectic religious tastes, and between a job or school. At the Orange County mosque, 15-year-old Adam fell under the spell of two naturalized U.S. citizens who were radical Muslims—Khalil Deek (a Palestinian computer repairman) and Hisham Diab (an Egyptian accountant). The two lived in apartments in an Anaheim neighborhood called "Little Gaza" where they began indoctrinating Adam with their extremist views. The president of the mosque, Haitham Bundakji, thought Gadahn, Deek, and Diab held such extremist views that he barred them from the site. In turn, they openly labeled him an infidel because he reached out to Christians and Jews. At one point, Gadahn was arrested for assaulting Bundakji. Although many adolescents belittle their fathers in their struggles for independence, most actually need strong, caring male role models to help channel their energies to healthy vocational, ethical, and spiritual development. Gadahn's failed attack on the Orange County mosque's imam might easily indicate a repressed and displaced rage at, and disappointment in, both his father and grandfather. John Walker Lindh represents another example of an "in-betweener" embracing radical Islam. Currently serving a 20-year prison sentence for providing aid to the Taliban in Afghanistan, Lindh (aka Suleiman Faris) has been made out by his family and lawyers to be an idealistic young California dreamer who took a wrong turn in his search for an (Islamic) identity. Attorney Henry Mark Holzer, who produced an in-depth, meticulously chronicled website about "Taliban John" disputes that view, contending that Lindh, in his own words and deeds embraced the spirit and plans of al-Qaeda to a greater degree than his defense lawyers would have the public believe. John was born in Washington, D.C., to Marilyn Walker and Frank Lindh, baptized a Catholic and grew up in Silver Spring, Maryland, until his family moved to San Anselmo in Marin County, California, when he was ten. John was sickly as a child with an intestinal disorder. Later, after several middle schools were tried and found wanting, his family decided on home-schooling. John rarely left home, participated regularly in Internet chat rooms, used fake names and sometimes pretended to be African-American. The Spike Lee film Malcolm X made a big impression on him and may have sparked his interest in Islam. He eventually enrolled at Redwood High School but soon left and took an independent study program, receiving a high school equivalency degree at age sixteen. Lindh's parents' marriage was having serious problems throughout his adolescent years and ended in a divorce in 1999 after which John's father "came out" as a homosexual. Some observers argue that discovering his father's homosexuality was traumatic for the teenaged Lindh. Frequently, traumatic events in the life history of terrorists contribute to their embrace of radicalism, and the issue of homosexuality or homosexual behavior not connected to sexual gratification but rather to power, dependency, and submission is often a factor among radical Islamists or their recruits. When Frank Lindh moved in with a male lover in 1997, the 16-year-old John dropped his father's name in favor of his mother's name, Walker. He subsequently converted to Islam and began attending mosques in Mill Valley and San Francisco eventually travelling to Yemen for ten months to study Arabic before returning briefly to the United States in 1999, then going back to Yemen and Pakistan to study in a madrassa. There is some controversy over an incident that may or may not have occurred which, if it did, may have had a profound effect on the young American "in-betweener." Khizar Hayat, a Pakistani businessman paid for Walker's madrassa tuition. In October 2002, Time reported that Hayat admitted to a homosexual relationship with Lindh, a claim denied by the latter's lawyers. Yet it is puzzling as to why Lindh did not seek financial help for the madrassa from his parents, who had both supposedly encouraged his Islamic faith and his study of Arabic. Was he reluctant to reveal his new Islamist leanings and mentors? Or if the story is true, was he running away from an inner conflict about his father's "coming out" and his own sexual identity? Physician psychiatrist Nidal Malik Hasan killed thirteen people and wounded thirty-three others at Fort Hood, Texas, on November 5, 2009. This 39-year-old, unmarried Army psychiatrist is a Muslim of Palestinian descent but was born and raised in Virginia. Hasan showed signs of conflicts between his Muslim faith and his duties as an army medical officer. He was noted to have tried to convert some of his patients to Islam and to have given a bizarre PowerPoint presentation to his colleagues as he finished his psychiatric training. He also made some grandiose recommendations and observations, including the notion that Muslim American soldiers be considered conscientious objectors, and cited many Qur'anic passages that could be interpreted as against U.S. military efforts and, in hindsight, could provide rationalizations for his murderous behavior. Jose Padilla, who sometimes calls himself Abdullah al-Muhajir, planned to explode a "dirty nuclear bomb" in Chicago. He was born in Brooklyn, New York, following his parents' move to the United States mainland from Puerto Rico. He became a member of the Latin Kings street gang after his family moved to Chicago and was reportedly implicated in a gangland murder at the age of thirteen. Padilla was arrested in Florida in 1991 over a road-rage shooting incident and spent a year in jail. He was subsequently arrested several times, and after serving time for aggravated assault, converted to Islam, initially professing a nonviolent philosophy and attending the Masjid al-Iman mosque in Fort Lauderdale, Florida. His colleague and friend Adham Amin Hassoun was a registered agent for Benevolence International Foundation, a charitable trust that U.S. investigators accused of funding terrorist activities. Hassoun was charged with consorting with radical Islamists, including al-Qaeda, and arrested in 2002 for overstaying his visa. The increasingly radicalized Padilla traveled to Egypt, Saudi Arabia, Afghanistan, Pakistan, and Iraq. He was tracked as an al-Qaeda follower and arrested at Chicago's O'Hare Airport on May 8, 2002, because of significant evidence that he had been trained in the making and using of a "dirty nuclear bomb." Significant in this case is the theme of Padilla's prison recruitment and his prolonged adolescent acting out and rebellious search for an exciting identity. Psychopathic and narcissistic character patterns as well as adolescent identity crises are important warning signs among prison populations. Still another radicalized "in-betweener" is the infamous but thankfully incompetent Richard Reid. Son of an English mother and a Jamaican father, Reid was born in 1973 in the London suburb of Bromley. His father was in prison for most of Richard's childhood, and the youngster fell into a life of petty crime; in the 1990s, he was jailed for assault and spent time in several youth prisons. In Feltham prison, Reid converted to Islam at age sixteen, and after his release, began attending Brixton Mosque in south London. Abdul Haqq Baker, chairman of the Brixton Mosque, indicated that at some point Reid was "tempted away" by Islamist extremists, telling the BBC that the extremists worked on weak characters and that Reid was "very, very impressionable." Reid changed his dress from Western clothes to traditional Islamic robes, topped with a khaki combat jacket. There is some speculation that he met Zacarias Moussaoui, the 9/11 conspirator during this period; Moussaoui, who attended the Brixton Mosque during the 1990s, was expelled from it because of his extremist views. On December 22, 2001, Reid was on flight 63 from Paris to Miami when he tried to light a fuse connected to explosives in his shoe but was overpowered by passengers and crew on the flight. Reid highlights the extreme level of susceptibility to recruitment by a radical Islamist terror cult. The common and ominous findings in the lives of future homegrown terrorists are: absent or weak fathers; conflicts with authority; identity struggles; unresolved father longing; and exposure to radical Islamist imams or recruiters, often in prisons or ghettos. Still another would-be terrorist is Umar Farouk Abdulmutallab. On Christmas Day 2009, this self-described "lonely" 23-year-old Nigerian youth carried an explosive Christmas gift aboard Northwest Airlines Flight 253 concealed in his underwear, intent on killing hundreds of Americans on board the plane and more on the ground in Detroit. Abdulmutallab came from a large family with fourteen siblings; as with Osama bin Laden's father Muhammad, who had forty children, it is doubtful if there was much quality father-son time for Umar and his father, a wealthy banker. Based on some of his 2005 Internet postings, Abdulmutallab expressed conflicts about women, marriage, and family traditions, concerns that a more engaged father might have paid heed to during time with his son. "As I get lonely," he posted, "the natural sexual drive awakens, and I struggle to control it, sometimes leading to minor sinful activities like not lowering the gaze (in the presence of unveiled women). And this problem makes me want to get married to avoid getting aroused." But his father denied him this outlet, forbidding it until he completed a master's degree. Instead, Abdulmutallab became drawn to his university's Islamic Society and eventually into the orbit of American-born, Yemeni-based Awlaki. Abdulmutallab displays the classic traits of a vulnerable "in-betweener" but, in this instance, appears to have also been caught between the mores and expectations of his Western-oriented parents and those of his Islamist university friends. The recruitment of homegrown terrorists involves the charismatic exploitation of young "in-betweeners" by radical imams and friends as well as Internet recruiters. Terror cults use well recognized mind control, thought reform techniques, and social group atmospheres to accomplish their ends, exploiting normal adolescents' predilection for rebellion coupled with a search for ideals and causes. The key psychodynamic patterns in homegrown terrorists are: (1) ambivalence toward, or disappointment in, parental figures resulting in "father longing"; (2) ambivalence about women, marriage, and intimacy; (3) prolonged adolescent identity searching with its accompanying crises; and, (4) an ambivalence toward authority, combining a fear or even hatred of authority with a longing for effective authority. This conflict with authority often results in the "in-betweener" being placed in a setting that exacerbates the problem. Islamist imams, especially those affiliated with the Wahhabi brand of Salafism, regularly seek appointments as chaplains in American prisons and spread their gospel of intolerance among angry prisoners, finding a keen audience among young, incarcerated rebels in search of a cause. Are there minimally intrusive ways whereby Western intelligence officers can engage in monitoring of groups or individuals that have the potential for recruitment of young people for their dangerous and radical causes? More importantly, can specially trained teachers, diplomats, social workers, and other professionals listen to and engage in dialogue with these vulnerable young persons before they are brainwashed or seek brainwashing as a means of belonging? This, however, is a profoundly difficult and prolonged group therapy task not unlike Alcoholics Anonymous, Narcotics Anonymous, and treatment of severe character and personality disorders. Peter A. Olsson is a retired physician-psychiatrist and psychoanalyst. He practiced psychiatry and psychotherapy and taught psychotherapy in Houston for twenty-five years and subsequently in New Hampshire. He is the author of Malignant Pied Pipers of Our Time: A Psychological Study of Destructive Cult Leaders from Rev. Jim Jones to Osama bin Laden (Baltimore: Publish America, 2005) and The Cult Of Osama: Psychoanalyzing Bin Laden and His Magnetism for Muslim Youths (Westport: Praeger Security International of Greenwood Group, 2007). Margaret Singer, Cults in Our Midst: The Hidden Menace in Our Everyday Lives (San Francisco: Jossey-Bass Publishers, 1995), pp. 21, 64-9. Anna Freud, The Ego and the Mechanisms of Defense (New York: International Universities Press, 1936), pp. 137-8. Siegfried Bernfeld, Über eine typische Form der männlichen Pubertät (Berlin: Imago, 1923), p. 9. Singer, Cults in Our Midst, pp. 21, 64-9. Eric D. Shaw, "Political Terrorists: Dangers of Diagnosis, Alternatives to the Psychopathological Model," International Journal of Law and Psychiatry, Summer 1986, pp. 188-9. Raffi Khatchadourian, "Azzam the American: The making of an Al Qaeda homegrown," The New Yorker, Jan. 22, 2007; Los Angeles Times, Oct. 8, 2006. Henry Mark Holzer, "Taliban John: Journey's End," FrontPage Magazine, July 17, 2002. The Guardian (London), Oct. 4, 2002; Reuters, May 4, 2007. Associated Press, Jan. 11, 2013. See, for example, Jonah Goldberg, "Family Trouble," National Review Online, Jan. 25, 2002. Lionel Ovesey, Homosexuality and Pseudohomosexuality (New York: Science House, 1969); Peter Olsson, The Cult of Osama: Psychoanalyzing Bin Laden and His Magnetism for Muslim Youths (Westport, Conn. and London: Praeger Security International of Greenwood Publishing, 2007), pp. 20-3. The Guardian, Oct. 4, 2002. The New York Times, Nov. 5, 2009; ABC News, Nov. 6, 2009. "Hasan's Personal Jihad," Human Events, Nov. 12, 2009. Fox News, Nov. 10, 2009. "Profile: Jose Padilla," BBC News, Nov. 22, 2005. The New York Times, June 10, 2002. "Who Is Richard Reid?" BBC News, Dec. 28, 2001. "Richard Reid—The 'Shoe Bomber,'" Global Jihad, Galilee, Isr., Mar. 14, 2007. The Guardian (London), Dec. 29, 2009. See, for example, Daniel Pipes, "Freedom House Report on Saudi Venom in U.S. Mosques," The New York Sun, Feb. 1, 2005; Patrick Dunleavy, "The Roots of Radical Islam in Prison," IPT News, Aug. 14, 2009; Paul Barrett, "How a Muslim Chaplain Spread Extremism to an Inmate Flock," The Wall Street Journal, Feb. 5, 2003. Based on author's professional observation and experience at Veterans Administration Hospital, Houston, 1969-71, 1973-78, and the Oakland Naval Hospital, 1971-73. Related Topics: Muslims in the West, Terrorism | Summer 2013 MEQ receive the latest by email: subscribe to the free mef mailing list This text may be reposted or forwarded so long as it is presented as an integral whole with complete and accurate information provided about its author, date, place of publication, and original URL.